The Blind Boys of Alabama started singing together in 1939, at a school for the blind in a little town in Alabama called Talladega. They had their first professional performance in 1944, and have been going strong with their heavenly Gospel music ever since, although only one original member, Jimmy Carter, still regularly tours with the group. They have received many accolades, including Lifetime Achievement Awards from the Grammys and the National Endowment for the Arts, and have performed for three Presidents. Jeff Moehlis: What can we look forward to at your upcoming concert with Dr. John in Santa Barbara? Jimmy Carter: The Blind Boys have been to Santa Barbara two or three times, and every time we come the crowd is very responsive. So we’re looking forward to the same thing. We’ll probably have some new material this time that they have never heard. We’ll see when we get there [laughs]. JM: Will you be doing some Dr. John songs? JC: Yeah, we’ll be doing some stuff with Dr. John. That’s correct. 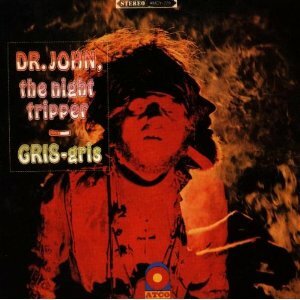 JM: Have you performed with Dr. John before? JC: Yes, we have. That was a great experience. We did some stuff in New York with him, and the crowds were very receptive. We’ve got a seven week tour with him, so we’ll be singing a lot with Dr. John. JM: You’ve performed with various other artists over the years. Are there any that really stick out to you as highlights? 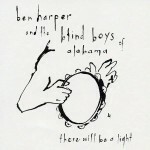 JC: Our first real experience that we had was with Ben Harper. That was a big experience. We met him in Istanbul, Turkey, and we started talking. You know, he came from a Gospel family, so he wanted to go in the studio and do a couple of songs with us. So when we got back across the water we went in the studio and started doing a couple of songs, and we ended up doing a whole album [laughs]. That was big. He was a wonderful gentleman. JM: You have also performed for some very distinguished audiences, including for three Presidents. What were those experiences like? JC: You’re right, we have sung to three administrations – the Clinton administration, the Bush administration, and the Obama administration. All three were good, but what was so much about the Obama administration, you know, he’s a black President. And we never thought that we would see that in our lifetime. So, to go up and sing for him was a great honor. JM: You have been singing during an amazing chunk of American history, including the Civil Rights era. What are some of your memories of, or experiences during that time? JC: We were there on the March from Selma to Montgomery. When the police had the water hoses going on. We weren’t into that, but we knew about it. We did the best we could. I think that we have come a long way. We have a long way to go, but we’ve come a long way. JM: Recently, Mavis Staples performed here in Santa Barbara, and from the stage she spoke a little bit about that time. Did you interact much with The Staple Singers? JC: Mavis is my buddy. She says I’m her boyfriend [laughs]. We’ve done a lot of work with The Staple Singers. We go way back in the day. JM: How do you achieve a balance of reaching new audiences, such as with the album with Ben Harper, while staying true to your Gospel music roots? JC: This is one of the reasons why we collaborate with other artists, because we are trying to get more young people involved in our music. People like Ben Harper and Aaron Neville relate to young people. Since we have collaborated with these people, we have seen more young people come to our concerts. We’re trying to bridge the generation gap. JM: I know that the story’s not done yet, but how do you view the legacy of The Blind Boys of Alabama? 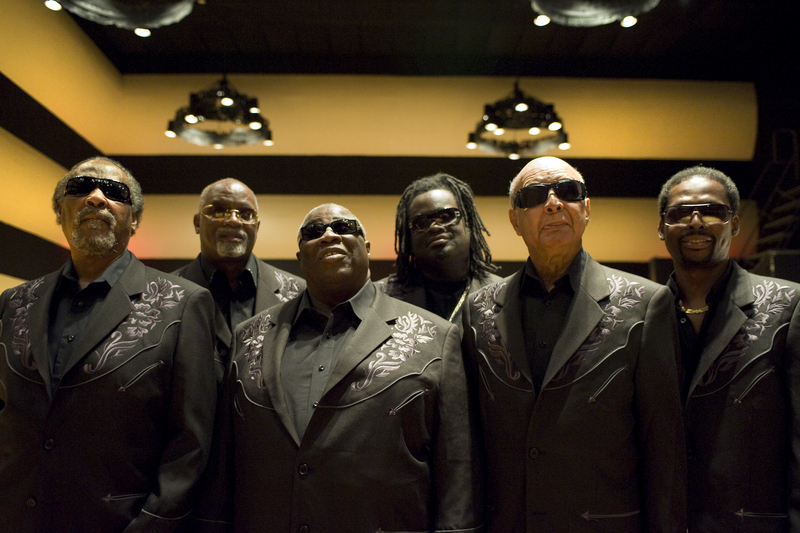 JC: I want the people to know that The Blind Boys of Alabama, when we do finally have to stop, I want our legacy to be that we have touched people’s lives. We are a Gospel singing group. We have a Gospel message. We talk about Jesus Christ. We tell people how He died that we might live. We try to bring hope to the hopeless, we try to encourage the discouraged. We would hope that we have touched people’s lives, and caused them to at least think about changing their lives. We have had people that come up and tell us that through our singing, their lives have been changed. This is very rewarding for us, and this is our goal. This is the legacy that The Blind Boys would like to leave, that we have touched people, we have made people feel good, we have brought hope and encouragement. JC: When people ask me that, I tell them that there are three things that a musician has to have, or anybody that has a goal in mind. Three things that they have to have. You first have to be dedicated. Then perseverance and persistence. Those are the three things that you need if you have anything in mind that you’re trying to do. You have to be focused on those three things – dedication, perseverance, and persistence. And one more – patience, too. JM: What are your other plans, musical or otherwise, for the near future? JC: We have a Christmas tour every year. So when we get through the Dr. John tour then our Christmas tour starts. After that we’ll be through for the year. JM: Any albums in the works? JC: No, not yet. We’re talking about one, but we’re just in the talking stage. We have ideas, but we’re not going to let them out yet [laughs]. JM: You’ve been doing this for a long time. How do you maintain the energy to keep traveling and performing after all these years? JC: When people ask me that, I tell them that when you love what you do… You know, we love what we are doing, we love to sing Gospel music, we love the people. When you love something, it keeps you motivated. That would be the secret to our longevity. 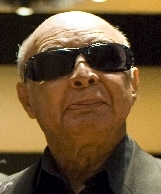 JM: Do you want to set the record straight on anything about The Blind Boys of Alabama? JC: I don’t see any. I know The Blind Boys have been singing a long time. We don’t have to clear that up [laughs]. JM: Where are you talking to me from? JC: I am right now in an IHOP restaurant eating some grits and gravy in Birmingham, Alabama. JM: And you still live in Alabama, I assume?